Three days into the closure of the road between Naame landfill and Ain Drafil, garbage flooded the roads in Beirut and Mount Lebanon. Prime Minister-designate Tammam Salam promised to find a solution if the roads are reopened for garbage collection trucks for 48 hours. Waste collection restarted Sunday night, and the landfill will reopen for 48 hours. Despite the repulsive sight of the garbage in the streets, Sukleen’s refusal to collect garbage returned the issue of waste management to general attention, after it had been ignored for several years.On January 19, garbage filled the streets, from the Awali River checkpoint to the Madfoun checkpoint. 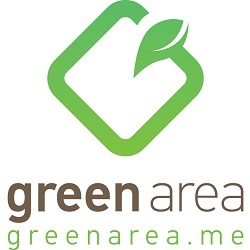 Sukleen had refused to continue collecting garbage from the streets of Beirut and Mount Lebanon, one hour after the first truck of its sister company Sukomi was prevented from reaching the Naame-Ain Drafil landfill. Sukleen is in charge of collection and cleanup in Beirut and Mount Lebanon, except Jbeil, for a total of 364 towns and municipalities. The total waste collected by the company rose from 1,140 tons daily in 1994, to 3,100 tons today. More than 290 municipalities were left to drown in their waste. Three days spent by activists at the gates of the landfill were enough to drown the capital and Mount Lebanon in waste. The campaign to close the Naame-Ain Drafil landfill is demanding an immediate alternative and sticking to the text of the landfill contract, which stipulates that waste should be buried and limits the types of waste allowed, in addition to restriction on quantities. The scene of garbage piling up in the streets led to the revival of the garbage issue. Salam met with a delegation of protesters and promised to make waste management a top priority in his prospective government’s program. He announced to the delegation that he would discuss the issue with caretaker Prime Minister Najib Mikati and head of the Council for Development and Reconstruction (CDR), Nabil al-Jisr. The delegation agreed to Salam’s initiative and pledged to reopen the road for Sukleen trucks for 48 hours, ending at 6 pm on Tuesday. This was on the condition of being presented with practical solutions and that the sit-in camp should remain alongside the road. 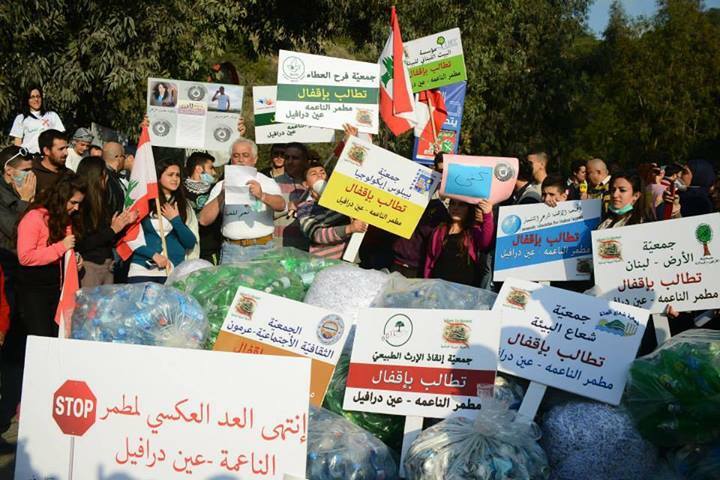 Al-Akhbar obtained information that Mikati asked Sukleen to remove the accumulated garbage, regardless of the whether the landfill was reopened, to be collected in a temporary location, until a solution is found for the landfill issue. But what solution does the caretaker government have for the protesters, in light of the open-ended political deadlock? Though there is a need for the fast-track laws presented to parliament, this would be very difficult amid expectations of a repeat of the scenario that dismissed the agenda of the general parliamentary session. Mikati’s government has also not discussed its plan, which proposes to keep using the Naame-Ain Drafil landfill open until 2020, at least. The protester delegation proposed to Salam to transfer the landfill to another location in Iklim al-Kharroub district, which was put forth by CDR as an emergency solution. Salam promised to discuss the issue with CDR. Fifteen years after the Naame-Ain Drafil landfill was opened, it expanded into an area of around 300,000 square meters, containing more than 15 million tons of waste.Despite the repulsive sight of the garbage in the streets, Sukleen’s refusal to collect garbage returned the issue of waste management to general attention, after it had been ignored for several years. While no official side has yet to announce its position on Sukleen refusing to collect garbage, the company linked the issue with the trucks being prevented from entering the Naame-Ain Drafil landfill. It promised it would clean up the areas in a matter of hours after reaching a solution. Looking into Lebanon’s solid-waste management contracts, it is clear that the waste management process goes through several stages, including clean-up and collection, sorting and composting, and then burial. Beirut’s treatment contract with Sukom International-Sukomi requires that the company run the processing plants in Karantina and Amrousieh, which the Lebanese government set up in 1997 to process a total of 1,700 tons of waste per day. Although the total collected waste reached 3,100 tons in 2013, the plants were not developed. The company did not object since it profits from burying waste in landfills. This shows the size of the scandal in Ain Drafil, which was turned into a haphazard dumping ground. 2,400 tons of waste are dumped at the landfill without processing, and 300 tons are composted poorly at the Coral factory in Bourj Hammoud. In addition, around 250 tons of paper, cardboard, plastic, and metals are recycled and sold by the company at preferential prices. It is a clear monopoly of the recycling market, and the Lebanese government does not recover one penny of this money. Fifteen years after the Naame-Ain Drafil landfill was opened, it expanded into an area of around 300,000 square meters, containing more than 15 million tons of waste. Although a decree was issued to compensate municipalities with $6 per ton of landfilled waste, none were not reimbursed, despite several cases being raised at the State Shura Council.